1. 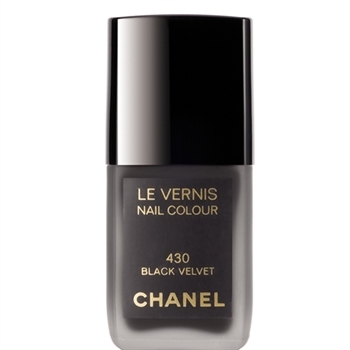 Chanel Black Velvet Nail Color I’m absolutely loving this color. Not only is it nice and dark, but it’s got a velvet finish so it doesn’t look so shiny! 2. J.Crew Thigh High Socks would be perfect with a cute little dress or skirt and a great pair of boots or even oxfords like the model is wearing. These are popping up everywhere and I want them badly! Happy Labor Day All ! You are currently reading A Few Of My Favorite Things at Daily Fashion Musings.